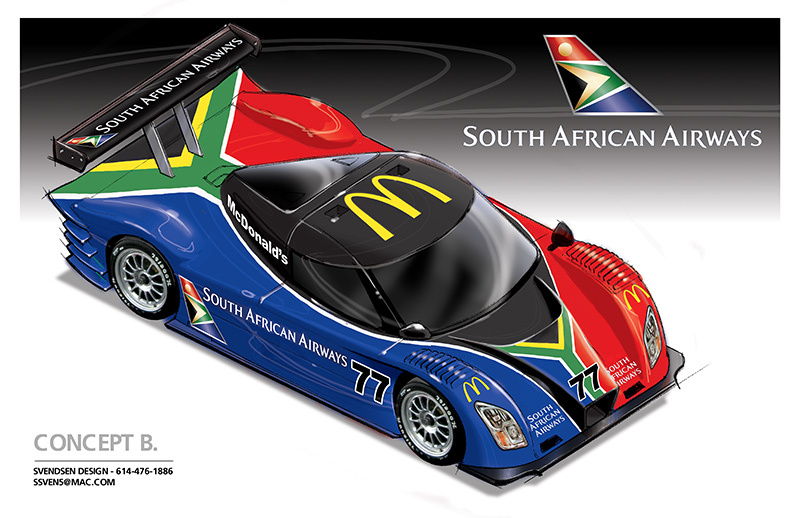 I designed this racing car graphic paint scheme for South African Airways which sponsored a Dallara in American endurance racing. 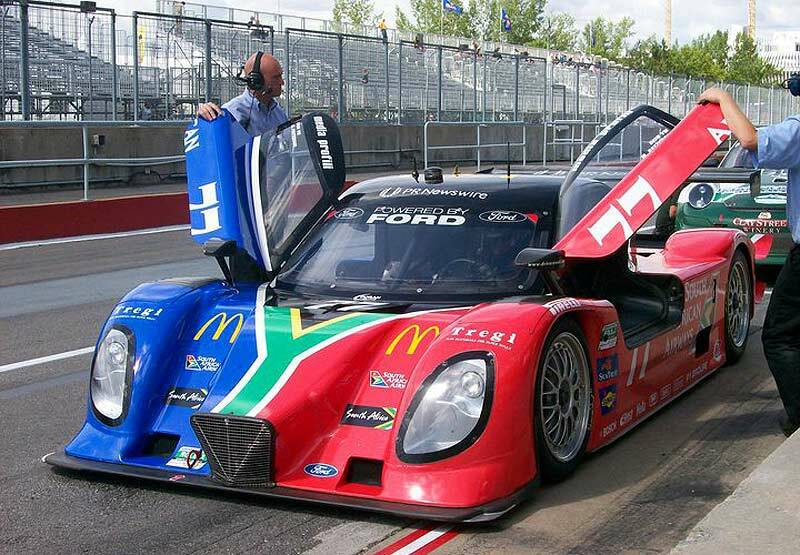 The team ran a Ford powered Dallara chassis in Rolex Series Grand Am racing. 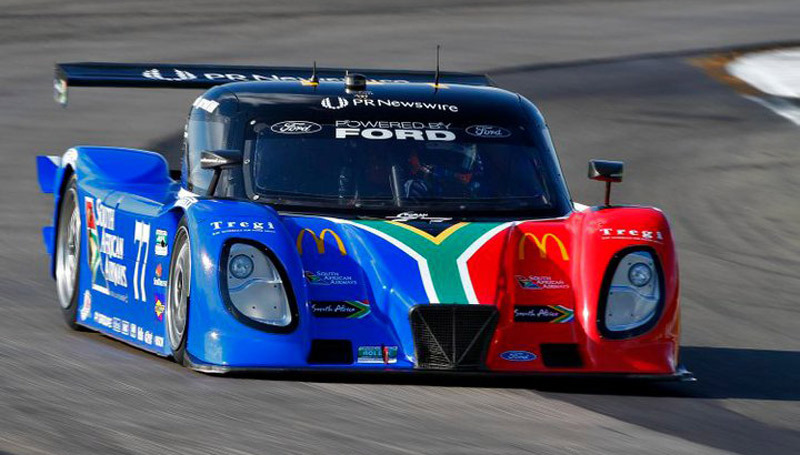 The paint scheme design featured a unique asymetrical design that had different colors on either sides and was inspired by the South African flag. the car ran in the second half of the 2010 season.